Main communal entrance doors without adequate security and access controls are magnets for vandals and other criminals. This becomes distressing for residents living in the flats and becomes costly for landlords. 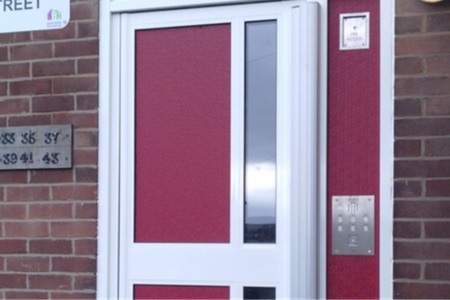 Bethcore Doors communal entrance doors are a permanent solution to communal access security and are aesthetically pleasing and designed to either our standard specification or tailored to meet your own individual requirements. 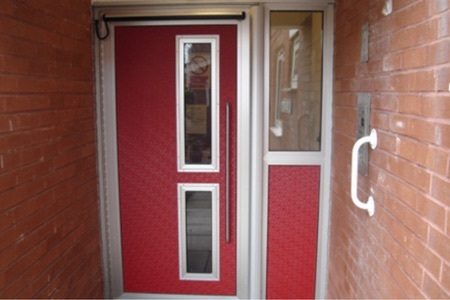 All entrance doors are manufactured to our usual high standards. Installation is carried out by in-house experts.